KAUKAUNA — Tourism may have been on the mind of Gov. 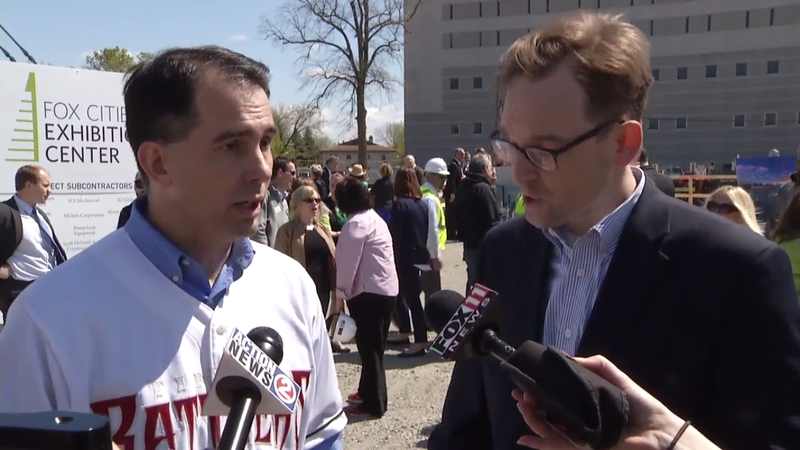 Scott Walker during his visit Friday to the Fox Cities Exhibition Center in Appleton, but the previous day’s vote on health care was on the mind of Outagamie County Executive Tom Nelson. In a video posted by WBAY-TV, Nelson grills Walker on his support of the bill that passed the House of Representatvies on May 4, 2017, designed to repeal and replace the Affordable Care Act. More from the WBAY Report is HERE. Walker also said if the law passes in its current form, he would consider seeking a waiver to let insurance companies charge people more if they have pre-existing conditions. Nelson, a Democrat lost to Republican Mike Gallagher in the November election. Gallagher voted in favor of the American Health Care Act, which passed by four votes Thursday, 217-213.